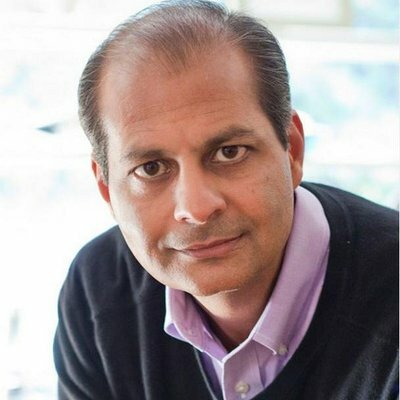 StratusCore, a cloud-based content creation technology company, announced today that it has added Hemanshu (Hemu) Nigam, a renowned media and entertainment security expert and CEO of SSP Blue, as a Strategic Advisor to help guide cyber security direction of the company. As the intellectual property of Media and Entertainment companies is increasingly becoming the target of security breaches and persistent cyber-attacks, staying ahead of modern security threats is more important than ever. Nigam’s cyber security expertise will help StratusCore continue to uphold its high integrity in security and stay ahead of new threats on behalf of its customers. "Security is paramount in StratusCore’s offering, and Hemu’s experience as Chief Security Officer at both NewsCorp and Fox, as well as his work as Vice President at MPAA, will be incredibly valuable as we continue to develop leading-edge security solutions for our customers," said Denise Muyco, co-founder and CEO of StratusCore. "Hemu’s deep experience in protecting the Media and Entertainment industry from cyber threats, both online and in the cloud, made him a natural fit to work with us as we continue to deepen our security." Nigam has also served as a federal prosecutor against computer crimes for the U.S. Department of Justice where he held top secret security clearance, and was a security, safety, and privacy executive inside Microsoft Corporation. StratusCore infuses robust network, asset, user access and communications security features into its ecosystem of services, closing security holes that are often overlooked by customers. In its Customer Security White Paper, StratusCore outlines its current security approach in detail to help its customers understand new ways of closing security gaps. "Whenever the masses get access to more technology, hackers start paying attention, increasing the risk of hacks and privacy leaks,” said Hemu Nigam, Strategic Advisor to StratusCore. "Recognizing this issue, StratusCore is giving the masses more creative technology that puts their creative genius on steroids while at the same time taking great pains to limit the pipeline from cyber threats. With cyber security in their DNA, StratusCore is putting the security of its customers first," Nigam continued. You can often see Hemu as the cyber security expert on CNN and Fox News, and read his guest column and interviews for Deadline Magazine. Hemu joins Stephen Arnold, Co-founder & Vice Chairman of the Board of Directors, George Lucas Educational Foundation, as a StratusCore Strategic Advisor. StratusCore's Virtual Studio is the only cloud-based content production platform that gives digital artists and studios secure, on-demand access to the broadest set of creative and collaboration tools and scalable cloud-based compute needed to unleash the deep efficiencies and full potential of the creative process. With StratusCore, artists have the ultimate freedom to access their work and create affordably from anywhere with just a basic laptop and as little as an 8Mbps internet connection. Content and tools sit together in centralized storage in the cloud to make creation and global collaboration nearly instantaneous and secure. Industry-leading motion graphics, visual effects, animation, game development and compute tools can be accessed online through StratusCore's marketplace or users' licenses. StratusCore's clients include some of the world's largest traditional studios like Sony and Universal, new OTT content providers like Netflix, gaming and post-production VR / VFX houses like Sony Interactive and educational institutions like NYU. For more information, please visit www.StratusCore.com.